Whether you’re in Munich for Oktoberfest or just want to experience its famous beer scene, this behind-the-scenes beer tour will give you the inside scoop of one of the city’s most renowned breweries. 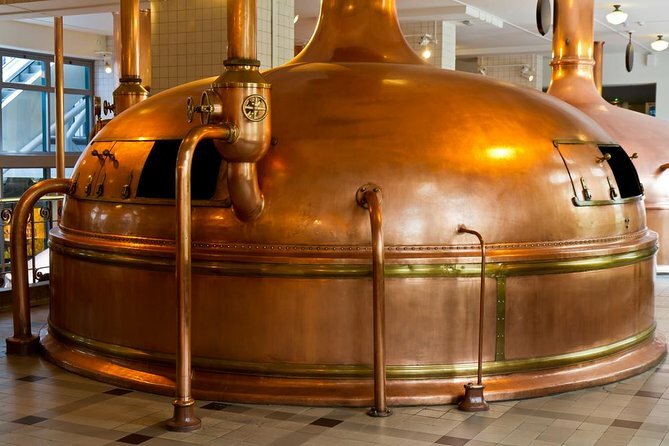 Beer brewing is an art in Germany, a centuries-old tradition that you’ll learn about with an experienced guide. Tour a big bavarian brewery, meet the master brewers and enjoy some beer samples accompanied by a fresh Bavarian pretzel. During this three-and-a-half-hour tour, we will take you straight to the source of Munich's liquid gold: in one of the citiy's breweries. Listen to a master brewer's view on what makes Munich's beer, brewed in accordance with the purity law, so unique. At the end of the tour you'll be invited to sample a hearty snack and lovely chilled beer.